Topper is doing great. 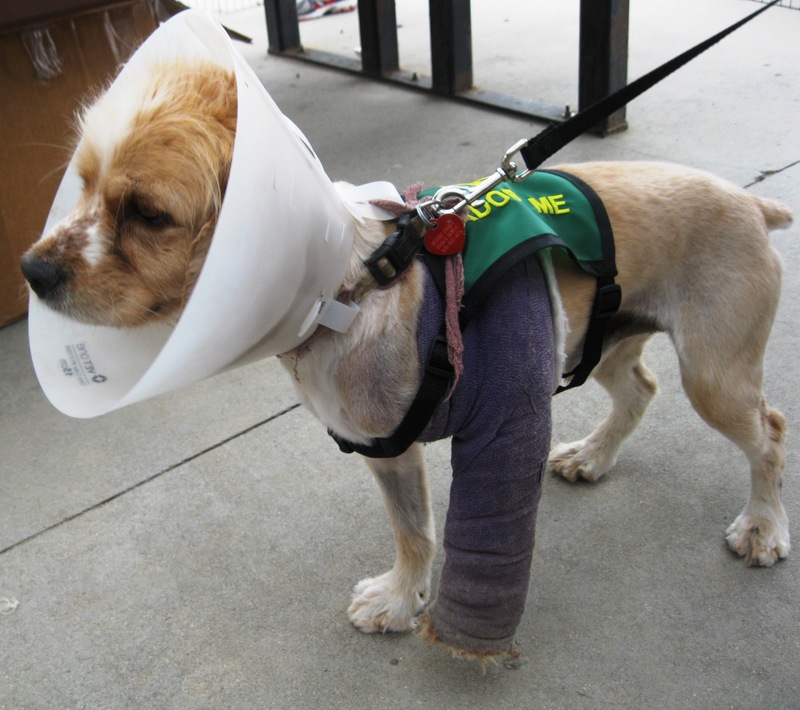 His front leg was dislocated at the elbow and healed out of the joint with lots of scar tissue. Our surgeon, Dr. Wright removed the scar tissue, put it back in place and Topper will start physical therapy three weeks after the staples come out. Dr Wright says he should be walking normally or close to it by the time we are finished. Topper is getting around like a trooper with his “club” now. Even putting weight on in some times. He is one happy boy. So puppy like and silly. He is going stir crazy being housebound during the recovery. He tells us he neeeeeeddsssss a car ride! Ironicly, if he had seen a vet when it happened they could have popped it back without surgery just a general anesthetic. The ligaments and tendons were even still intact.